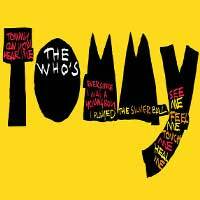 Based on The Who's classic 1969 double album, The Who's Tommy is an influential rock opera that follows the adventures of Tommy, a "deaf, dumb and blind kid" who transcends the cruelty of the modern world to become a pinball wizard and then a prophet. The original Broadway production ran for nearly 900 performances, earning guitarist-composer Pete Townshend the Tony Award for Best Original Score, for hits like "Amazing Journey," "See Me, Feel Me," "Tommy, Can You Hear Me?" and "I'm Free." Earning high scores from audiences since its debut, The Who's Tommy has lost none of its power to inspire and amaze. Celebrate the 50th anniversary of this groundbreaking musical with this semi-staged adaptation from Broadway Center Stage at The Kennedy Center in Washington, D.C.